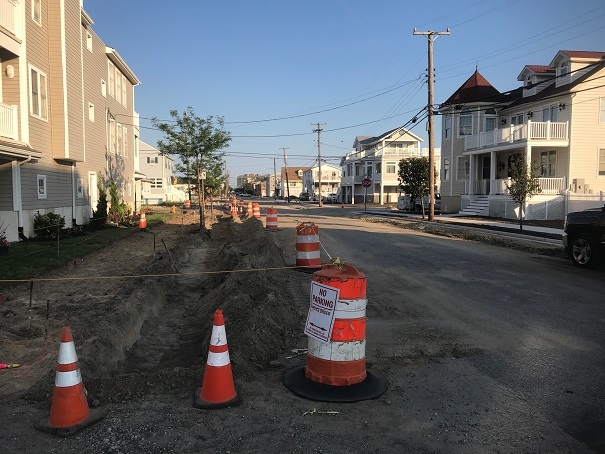 Feriozzi Concrete will continue work on Third Street between Haven and Bay avenues, restoring curb gutter and sidewalks. Pipe crews will continue installing inlets and main on Seventh Street and on Pleasure Avenue. Paving crews will be milling and paving the intersections of Fifth and West, Sixth and West, and will be topping mid-block between Fifth and Sixth on Tuesday. Wednesday they will begin grading for the bike path behind the Primary School and will pave it by the end of the week.